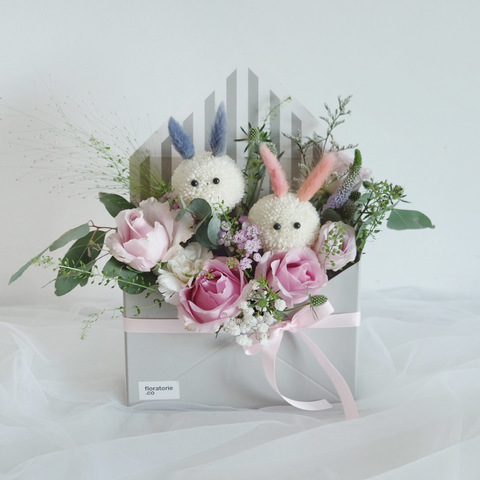 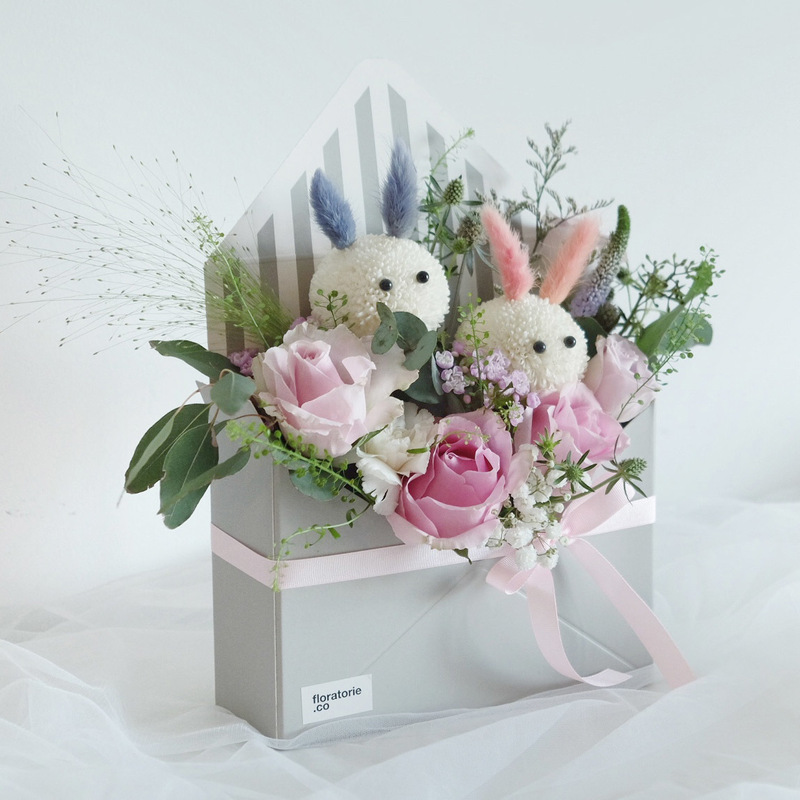 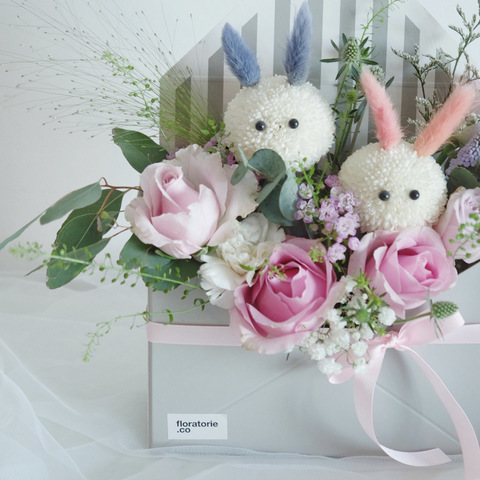 Pastel roses mix with bunny Ping Pong in a box. Perfect for any occasion. 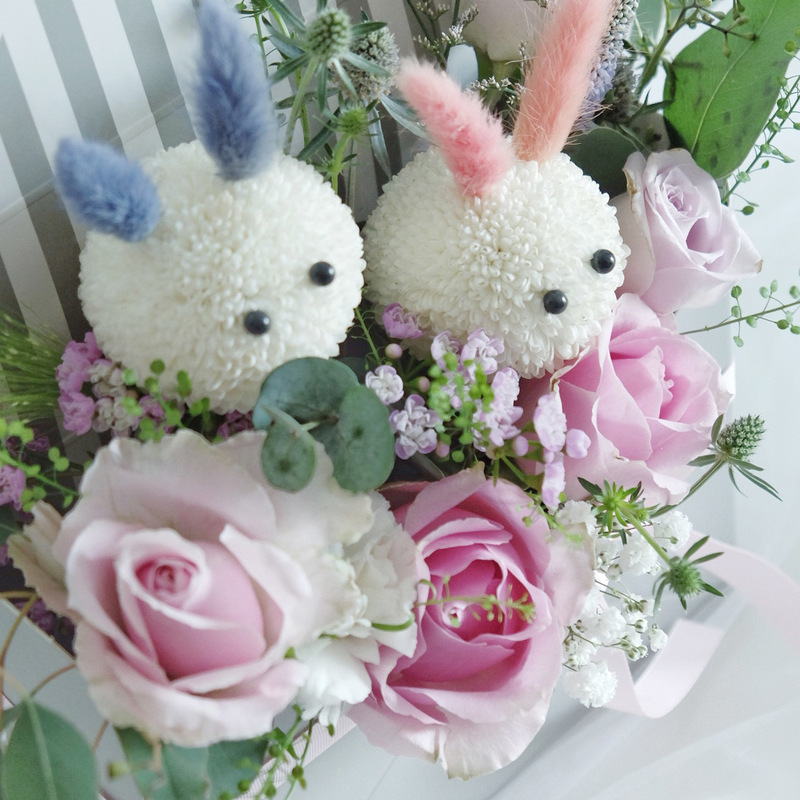 It is cute and sweet!